What with all the new technology today, it might be hard to believe, but what is old is new and cool again. That’s right, those old-school video games from the 1980’s and 1990’s are once again popular. Whether you played them at the arcade, on your handheld GameBoy or GameGear, or even on a full-sized Sega or Nintendo, memories of these games are certainly seared into your memory! 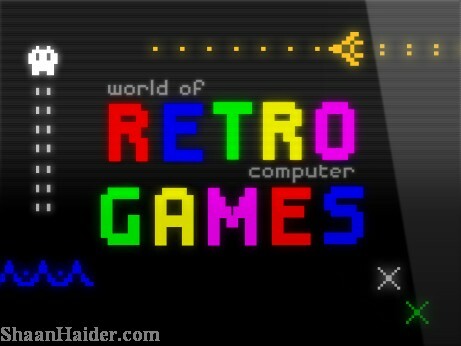 Here are our picks for the top five retro video games that you should be reminiscing about – and playing right now! And don’t forget to check this page to find many second-hand video games for sale in Nigeria. This classic game was great on any device – a handheld GameBoy, regular console, or even on your computer screen. While it is really just a fancy, fast-paced puzzle, the thrill of getting your pieces to fit together, while encouraged along by the catchy, pushy music makes it just as addicting today as it was 30 years ago. Growing up, most gamers fall squarely into the Sonic camp or the Mario camp – which is by design, as Sonic was designed specifically to compete with the Mario franchise! Still, that does not lessen the fun of racing through Sonic’s world as the wily hedgehog with a unique ability to curl into a ball and fly across the screen! While the graphics have never been particularly impressive – white line drawings on a black screen – Asteroids gives you that rare chance to feel like you control the universe. Use the space bar on your computer to fire off missiles at invading, out of control asteroids, and save your ship, and the planet, from destruction! Mario the plumber and his twin brother Luigi have been reincarnated many times since their first video game appearance, and every single one is a classic. Whether they are battling Koopa-monsters, saving Princess Peach, or racing their MarioKart’s alongside Yoshi the Dinosaur and Mario’s evil doppelganger Wario, any Super Mario game is a guaranteed good time. Many of the Nintendo games are now available online, but to get the full experience you should really dig out your old NES console, dust off the cartridge, and start throwing some fireballs. The ultimate bar/pizza parlor video game is, of course, one of the most basic. With just a few coins and a grasp on the joystick, Pacman can provide hours of fun as your eat your way through the different levels. Next Post What are the benefits of hosting with multi domain names?